Thomas Curson Hansard was an English pressman, son of the printer Luke Hansard. Edward Cave was an English printer, editor and publisher. He coined the term "magazine" for a periodical, founding The Gentleman's Magazine in 1731, and was the first publisher to successfully fashion a wide-ranging publication. To fillet in the sense of literary editing is a form of censorship or redaction effected by "cutting out" central letters of a word or name, as if the skeleton of a fish, and replacing them with dashes, to prevent full disclosure. It was frequently practiced in publications of the 18th century in England. Its purpose was to inform interested readers in an obfuscated manner whilst at the same time avoiding the risk of being sued for illegal publication or defamation or libel by the overt naming of persons as having committed certain acts or spoken certain words. It was used for example in parliamentary reports published in The Gentleman's Magazine from 1738 onwards under the title of the "Debates in the Senate of Magna Lilliputia" in which in order to circumvent the prohibition of the publication of parliamentary debates of the English Parliament the real names of the various orators were filleted or replaced by pseudonyms or anagrams; for example, Sir Robert Walpole was thinly disguised as Sr. R——t W——le. In 1771 Brass Crosby, who was Lord Mayor of the City of London, had brought before him a printer by the name of John Miller who dared publish reports of Parliamentary proceedings. He released the man, but was subsequently ordered to appear before the House to explain his actions. Crosby was committed to the Tower of London, but when he was brought to trial, several judges refused to hear the case and after protests from the public, Crosby was released. Parliament ceased to punish the publishing of its debates as harshly, partly due to the campaigns of John Wilkes on behalf of free speech. There then began several attempts to publish reports of debates. Among the early successes, the Parliamentary Register published by John Almon and John Debrett began in 1775 and ran until 1813. Brass Crosby was an English radical lawyer, Member of Parliament and Lord Mayor of the City of London. John Wilkes was a British radical, journalist, and politician. William Cobbett (1763–1835), a noted radical and publisher, began publishing Parliamentary Debates as a supplement to his Political Register in 1802, eventually extending his reach back with the Parliamentary History. Cobbett's avocation for the freedom of the press was severely punished by the British Government. On June 5, 1810 William Cobbett stood trial for seditious libel for an article he wrote against the British Government which was published by Thomas Curson Hansard. Cobbett was found "guilty, upon the fullest and most satisfactory evidence". The court sentence read: "The court do adjudge that you, William Cobbett pay to our Lord the King a fine of £1000; that you be imprisoned in His Majesty's gaol of Newgate for the space of two years, and that at expiration of that time you enter into a recognizance to keep the peace for seven years—yourself in the sum of £3000, and two good and sufficient sureties in the sum of £1000; and further, that you be imprisoned till that recognizance be entered into, and that fine paid". The sentence was described by J. C. Trewin as "vindictive". The Court argued that Thomas Curson Hansard, who had "seen the copy before it was printed, ought not to have suffered it to have been printed at all"  and was sentenced to three months imprisonment in the King's Bench Prison. William Cobbett was an English pamphleteer, farmer, journalist and member of parliament, who was born in Farnham, Surrey. He believed that reforming Parliament including abolishing the "rotten boroughs" would help to end the poverty of farm labourers. Relentlessly he sought an end to the borough-mongers, sinecurists and "tax-eaters". He was against the Corn Laws, which imposed a tax on imported grain. Early in his career, he was a loyalist devotee of King and Country: but later he joined and publicised radicalism, which helped the Reform Act 1832, and to his being elected that year as one of the two Members of Parliament for the newly enfranchised borough of Oldham. Not a Catholic, he became an forceful advocate of Catholic Emancipation in Britain. He wrote many polemics, concerning subjects from political reform to religion, but is best known for his book from 1830, Rural Rides, which is still in print today. The Cobbett's Weekly Political Register was a weekly London-based newspaper founded by William Cobbett in 1802. It ceased publication in 1836, the year after Cobbett's death. 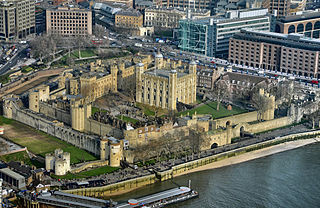 The King's Bench Prison was a prison in Southwark, south London, England, from medieval times until it closed in 1880. It took its name from the King's Bench court of law in which cases of defamation, bankruptcy and other misdemeanours were heard; as such, the prison was often used as a debtor's prison until the practice was abolished in the 1860s. In 1842, it was renamed the Queen's Prison, and later became the Southwark Convict Prison. Cobbett's reports were printed by Thomas Curson Hansard from 1809; in 1812, Cobbett's finances ran asunder and he divested himself of his proprietorship of both the Parliamentary Debates and Parliamentary History, which then "passed into the hands of Hansard in 1812". Cobbett's Parliamentary Debates became Hansard Parliamentary Debates, "abbreviated over time to the now familiar Hansard". From 1829 the name "Hansard" appeared on the title page of each issue. Neither Cobbett nor Hansard ever employed anyone to take down notes of the debates, which were taken from a multiplicity of sources in the morning newspapers. For this reason, early editions of Hansard are not to be absolutely relied upon as a guide to everything discussed in Parliament. As was the case in many early Canadian regions, the newspapers were the first source of the Parliamentary debates. Canada's first newspaper, the Halifax Gazette , was printed on Grafton street in Halifax in 1752. The two most prominent papers in Parliamentary reporting were the Acadian Recorder , founded in 1813 by Anthony Henry Holland, and the Free Press, established in 1816 by Edward Ward. Both newspapers reported the debates of the House of Assembly starting in 1817. The Novascotian newspaper would soon become Nova Scotia's most prominent paper after its launch in 1824, which was highly influenced by George Young who was instrumental in its establishment. George Young sought permission from the Assembly to report its debates. Permission was granted, yet he was not provided with very many privileges in the House. They didn't make it easy for him and didn't allow him a seat in the lower deck. In 1827 Joseph Howe bought the Novascotian from Young. "There was no more powerful an advocate of parliamentary debates than Howe". In 1835 Joseph Howe was "prosecuted over a publication of a letter in the Novascotian". He was charged with libel. This case was infamous and is considered to be a "cornerstone in the establishment of freedom of the press in Canada". Howe, who defended himself in court, was found to be Not Guilty. This is why his case is viewed as a milestone in the development of the free press. On 9 July 1867 a team of five reporters, led by Chief Reporter C.C.N. Barron, produced the first official report of debates of the New Zealand Parliament. Ever since that day official transcripts of members' speeches in the New Zealand House of Representatives have been continuously published. Parliamentary privilege is a legal immunity enjoyed by members of certain legislatures, in which legislators are granted protection against civil or criminal liability for actions done or statements made in the course of their legislative duties. It is common in countries whose constitutions are based on the Westminster system. Parliaments and legislative bodies around the world impose certain rules and standards during debates. Tradition has evolved that there are words or phrases that are deemed inappropriate for use in the legislature whilst it is in session. In a Westminster system, this is called unparliamentary language and there are similar rules in other kinds of legislative systems. This includes, but is not limited to, the suggestion of dishonesty or the use of profanity. Most unacceptable is any insinuation that another member is dishonourable. So, for example, suggesting that another member is lying is forbidden. John Joseph Aquilina, a former Australian politician, is a former member of the New South Wales Legislative Assembly representing the electorate of Blacktown between 1981 and 1991 and the electorate of Riverstone between 1991 and 2011 for the Labor Party. Hansard TV is the legislature broadcaster of the Legislative Assembly in the Canadian province of British Columbia. It is available on most cable television systems in the province of British Columbia, as well as Nationally on Shaw Direct channel 393 and Optik TV channel 843. The chosen name of "Hansard", refers to printed transcripts of parliamentary debates in the Westminster system government. Closed Captioning provided by the Captioning Group Inc. Hansard Television also manages the operation of the Saskatchewan Legislative Network, the broadcaster for the Legislative Assembly of Saskatchewan. Clarke Anthony (Tony) Abbott is a Canadian politician and former member of the Legislative Assembly of Alberta. He represented Drayton Valley-Calmar and sat as a Progressive Conservative from 2001 until 2008. 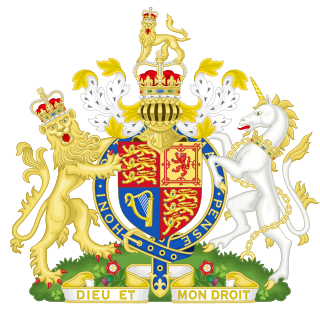 In the Commonwealth realms, Queen's Consent is required before the legislature can debate a bill affecting the prerogatives or the interests of the relevant crown. In the United Kingdom, this extends to matters affecting the Duchy of Lancaster and the Duchy of Cornwall; for the latter, Prince's Consent must also be obtained. The Scottish Parliament adheres to the same requirement of consent. Naming is a procedure in some Westminster parliaments that provides for the speaker to temporarily remove a member of parliament who is breaking the rules of conduct of the legislature. Historically, "naming" refers to the speaker's invocation of the process by calling out the actual name of the member, breaking the convention of calling on members by the name of their constituency. Parliamentary Debates (Hansard) is the official name of the transcripts of debates in the New Zealand Parliament. New Zealand was one of the first countries to establish an independent team of Hansard reporters, 42 years before the British (Imperial) Parliament. An official record of debates has been kept continuously since 9 July 1867. Speeches made in the House of Representatives and the Legislative Council between 1867 and the commencement of Parliament in 1854 were compiled in 1885 from earlier newspaper reports, and this compilation also forms part of the New Zealand Hansard record. 1 2 3 4 5 6 7 8 9 10 11 12 13 14 15 Ward, John (1980). The Hansard Chronicles. Toronto, Ontario: Deneau and Greenberg Publishers Ltd. ISBN 0-88879-023-6. 1 2 3 4 5 Trewin, J.C (1952). Printer to the House: The Story of Hansard. Andover, Hants, Great Britain: The Chapel River Press. p. 5. ↑ "Brass Crosby: The Julian Assange of 1771". dougsaunders.net. 17 December 2010. Archived from the original on 18 March 2016. Retrieved 28 April 2018. ↑ Ian Church, "Official Report [HANSARD] Centenary Volume", 2009, p. xvi. ↑ State Trials (New Series) III, 723. ↑ Bradley, A.W. ; Ewing, K.D. (2003). Constitutional and Administrative Law (13th ed.). London: Pearson. pp. 219–220. ISBN 0-582-43807-1. ↑ Crewe, Emma (2005). Lords of parliament: manners, rituals and politics. Manchester University Press. p. 84. ISBN 978-0-7190-7207-9 . Retrieved 4 January 2011. ↑ "House of Commons Hansard archives". Parliament of the United Kingdom. Archived from the original on 2014-05-18. ↑ "Hansard Online - commencing May 2010". Parliament of the United Kingdom. Archived from the original on 2016-11-13. ↑ "Debates (Hansard) No. 159 - November 28, 2005 (38-1) - House of Commons of Canada". www2.parl.gc.ca. Archived from the original on 9 March 2013. Retrieved 28 April 2018. ↑ "Legislative Debates Search Page". Hansardindex.ontla.on.ca. Archived from the original on 2016-06-19. Retrieved 2016-09-01. 1 2 "ALL ABOUT HANSARD - Legislative Assembly of Alberta". www.assembly.ab.ca. ↑ "ALL ABOUT HANSARD - Legislative Assembly of Alberta". www.assembly.ab.ca. ↑ "Assembly Documents and Records- Legislative Assembly of Alberta". www.assembly.ab.ca. ↑ "Hansard – Parliament of Australia". Parliament of Australia website. Parliament of Australia. Archived from the original on 15 October 2013. Retrieved 22 November 2013. ↑ "Fact Sheets – Records of the Parliament". Parliamentary Education Office website. Parliament of Australia. Archived from the original on 30 November 2013. Retrieved 22 November 2013. ↑ "Parliament of WA – Hansard". Parliament of Western Australia website. Parliament of Western Australia. Archived from the original on 4 December 2013. Retrieved 22 November 2013. ↑ "Parliament of Victoria – About Hansard". Parliament of Victoria website. Parliament of Victoria. Archived from the original on 27 November 2013. Retrieved 22 November 2013. ↑ "Hansard in the Parliament of New South Wales" (PDF). History Bulletin. NSW Parliamentary Archives and Parliamentary Education Office. 2011. Archived (PDF) from the original on 23 June 2014. Retrieved 4 April 2014. ↑ "A Quarter of a Century". 11 July 1892. p. 2. Archived from the original on 18 February 2017. Retrieved 28 April 2018– via Papers Past. ↑ "Evening Post. Monday, July 9, 1888". 9 July 1888. p. 2. Archived from the original on 18 February 2017. Retrieved 28 April 2018– via Papers Past. ↑ "What is Hansard?". www.parliament.nz. Archived from the original on 29 January 2018. Retrieved 28 April 2018. ↑ "Features (pre 2016)". www.parliament.nz. Archived from the original on 18 February 2017. Retrieved 28 April 2018. ↑ "Home - Plenary - European Parliament". www.europarl.europa.eu. Archived from the original on 30 August 2011. Retrieved 28 April 2018.